The next major wave of growth in the Indian economy won’t come from the big tech corporations, but from the almost 5.5 crore MSMEs (Micro, Small and Medium Enterprises) which operate in India. While these businesses have always existed, until recently, their contributions weren’t fully documented. However, with the penetration of digital technology, MSMEs are finally being valued for their contribution to India’s economy. In fact, studies have shown that they contribute to as much as 8% of the country’s total GDP. Even more remarkably, they contribute to 40% of India’s exports. MSMEs also account for 45% of the total manufacturing volume and produce around 10,000 kinds of products. Analysts have indicated that the country’s economic development will largely be due to the increasing influence of MSMEs. One of the main factors behind the growing importance of MSMEs is their adoption of digital technologies to streamline business processes. Before the advent of digitalisation, MSMEs faced a lot of hurdles that prevented them from reaching their full growth potential. One of the main hurdles was that MSMEs found it almost impossible to secure a loan for their business. As these organisations were largely unorganised they also lacked any proper documentation. Without a credit history, collateral assets and other eligibility criteria, banks and other financial institutions wouldn’t sanction loans for MSMEs. This has mounted into a serious financial crisis for MSMEs. According to a report by International Financial Corporation, MSMEs in growing markets like India have a funding deficit of almost $2 trillion. When the government announced overnight that they were withdrawing 500 and 1000 denomination notes from circulation, MSMEs faced the brunt of this decision. As MSMEs are largely unorganised, most of their transactions are conducted through cash. With customers now strapped for currency notes, small businesses began to face a serious dip in profits. Because of this, they were forced to adopt digital payment methods, deposit their savings into banks and become a part of the organised sector. Demonetisation was effectively the catalyst which encouraged MSMEs to adopt fintech solutions, but the introduction of GST added further impetus. With special benefits for digital compliance under GST tax structure, MSMEs had even more reason to go digital. 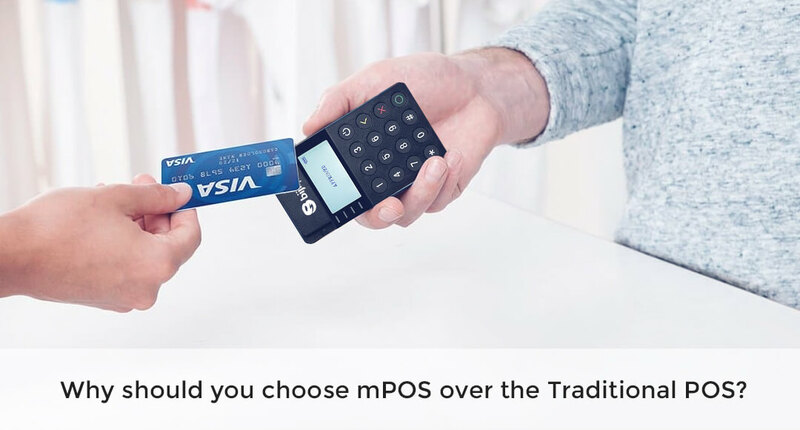 Low-cost POS machines like those by Bijlipay as well as UPI-enabled wallets like Tez and WhatsApp Payments have made it even easier for MSMEs to go digital. This wasn’t a one-sided relationship, but a two-way exchange. While MSMEs began to actively participate in the digital economy, fintech providers also provided them with the resources they needed to grow. The emergence of several fintech companies in India has challenged the larger financial institutions in the country today. Some of their biggest pool of customers belong to the MSME sector. Almost 75% of fintech companies today are involved in helping small businesses make their processes more efficient. Here’s how small businesses today are benefiting from fintech solutions. Unlike traditional financial institutions, fintech companies have much easier criteria regarding loan disbursements. Instead of a CIBIL score to determine the trustworthiness of an applicant, fintech companies use faster and more sophisticated techniques to track the applicant’s financial history. They also have less overhead costs to cover, which helps them offer loans at a much lower rate than banks do. Another crucial reason why MSMEs prefer fintech companies is because their applications are processed at an unbelievable speed. Most applicants can get their loan approved and disbursed within just two days. Governments also benefit through this digital economy as MSMEs become more profitable. Most fintech companies haven’t been formally incorporated into the banking sector yet, they aren’t held to the same guidelines. This allows them to offer MSMEs loans at a much more competitive rate than banks can provide. As many of the existing banks and lending institutions do not cater to the needs of MSMEs especially in rural parts of India, the Government has created small finance banking certificates for this sector. Financial institutions registered under the Companies Act of 2013 can be provided with a special license to disburse loans to MSMEs.This was done to simplify the process for MSMEs to formalise their operations, obtain loans easily and grow their business. As many of these Small Finance Banks have adopted advanced technology, they can offer credit to their customers at very low rates. As more MSMEs utilise digital transactions for financial services, it will help fintech companies learn more about this sector. By understanding the unique requirements of small business, fintech providers can tailor their services to cater to their needs. With the greater availability of big data through mobile payments, fintech companies can gain deeper insights into MSME banking and credit behaviour. This will ultimately help small businesses find personalised financial solutions to meet their unique challenges. Fintech and MSMEs are an unstoppable combination which will undoubtedly propel India’s economy forward. The growing number of fintech service providers in the country today will also offer MSMEs easier access to loans and other banking solutions.